“I go to the laundromat to do a wash. Included in the wash are 8 pairs of socks. Out of the wash come 6 pairs of socks plus 1 grey sock and 1 blue sock. A week later I go to the laundromat to do a wash. 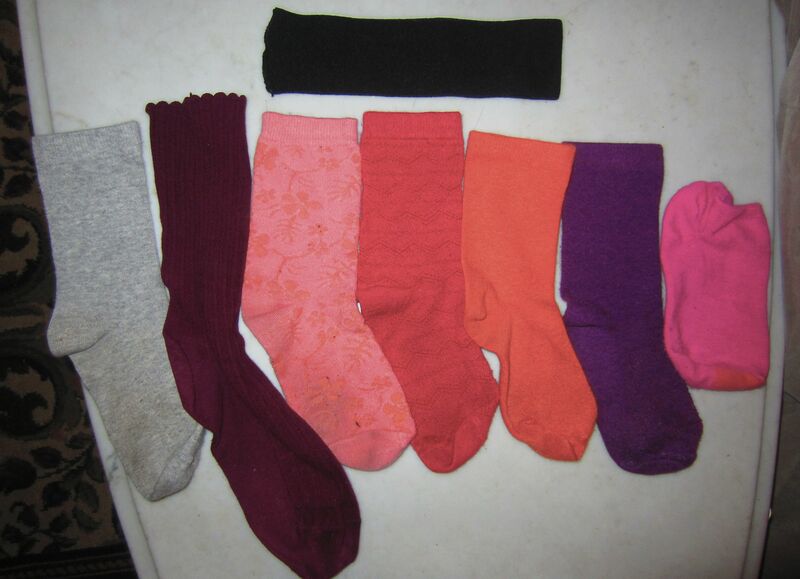 Included in the wash are 6 pairs of socks. Out of the wash come 4 pairs of socks plus 1 black sock and 1 green sock. A week later I go to the laundromat to do a wash. Included in the wash are 4 pairs of socks. Out of the wash come 2 pairs of socks. The other socks never show up. The next day I go to the laundromat. As an experiment I put in nothing but my last 2 pairs of socks. Out of the wash comes a body stocking. In the body stocking I find a note. And I thought I had a colorful socks life!